Many years ago now I thought Happy Mondays the greatest thing on the planet. And they were. This would have been 1986 or 1987. I saw Happy Mondays perform some remarkable shows, at ridiculously close quarters. I am thinking of one in particular where they were supporting the Jasmine Minks upstairs in a Camden pub. There will have been a couple of dozen people there, all grinning madly and jiggling to the unprecendented Can meets Bohannan groove, when up steps this scuzzy looking kid in a battered leather coat who proceeds to deliver nonchalantly this mad stream of consciousness rap as part of I think 'Little Matchstick Owen'. It was a perfect moment, but I wonder now if I dreamed it. Now there’s a school of thought, led by one Tony Wilson, that says Happy Mondays’ Shaun Ryder is the unique poet of his generation, and this is a school of thought I totally buy into, having studied Mr Ryder’s wordplay in intimate surrounds. He sure as hell knew what he was doing then. The whole group did. They were off on their own, yup, but they were tapped into something special, and no matter how Mr Ryder tries to deny it now his early lyrical flow really was up there with the most inventive poetry, so much so that you begin to wonder just how. Now while Mr Ryder may be in denial, there’s no doubt in Guru’s mind that he, Mr Keith Elam, the Gifted Unlimited Rhymes Universal, really is a poet of the streets, the voice of the dispossessed, ghetto defender, an educator, protecter, and philosopher, a man looking for the light and the truth, whereas Mr Ryder was content to dig among the dirt and the darkness. Guru just happens to be my favourite MC, and I think the records he made with Gang Starr in the ‘90s are about the best hip hop records ever. So why do I almost feel guilty saying that? Guilt’s a big part of the pop process. Some have made a big thing about guilty pleasures. Myself, I feel guilty I don’t like, say, Prince or the Pixies as much as I could. I feel just as guilty that I have never got into the whole gangsta rap caboodle of NWA, Snoop, Dre, Tupac, whatever, thus denying myself the right of enjoying that whole multi-million dollar industry as a guilty pleasure. It’s not even a high-handed moral decision. It’s just not done anything for me. So somehow it feels too obvious to say Gang Starr’s my favourite hip hop thing, but let’s be bold. I guess Gang Starr emerged as part of one golden hip hop age, boldly carrying on the torch for Grandmaster Flash, Eric B & Rakim, Public Enemy, making fantastic music along side a whole host of other adventurers making fantastic music. De la Soul, A Tribe Called Quest, Brand Nubian, KRS-One, Ultramagnetic MCs, and so many others. But Gang Starr’s Step In The Arena caught something special, and seemed to define certain possibilities. And that something special was the way Guru delivered his rhymes. His precise and portentous tones seemed removed from the crowd trying to move the crowd. His deceptively laid back lyrical flow seemed a perfect excuse to trot out phrases like laconic and lugubrious. Essentially when others were shouting so loud, Guru could come across as the wise one, thoughtful and still as tough as anyone else? Guru was a romantic rebel in the tradition of my own heroes, like genial Joe Strummer, Kevin Rowland and Mark Stewart, maybe playing a part, full of contradictions, but totally immersed in that role. He had absorbed James Brown, the Last Poets, Curtis Mayfield, and had a lot to say. For many the better half of Gang Starr will always be DJ Premier, an alchemist who turned the whole thing of scratching, sampling, mixing, and assemblage into a higher art form. He did this at a time when you could get away with much more (like the blatant but brilliant use of Marlena Shaw’s rendition of Ashford and Simpson’s 'California Soul' on 'Check The Technique'), when samples didn’t need clearing, when the whole thing of sampling was still vital and controversial. Premier’s fingerprints would be over a lot of the most important sounds for years to come, and his extra curricular activities, including the magical Sun Rises In The East for acolyte Jeru the Damaja still amaze. But it’s Guru that does it for me. Take 'Check The Technique', where Guru soars over the California Soul montage, and then slips into 'Lovesick'. Now I’m shamelessly happy to admit my own guilty pleasure for many a year was to put Gang Starr’s joyous 'Lovesick' on any compilation tape next to Orange Juice’s 'Lovesick', when such things mattered more than the sun. Nothing could be more certain of putting a smile on my face or a spring in my step than those two songs back-to-back. I love Guru talking his way through 'Lovesick'. There’s something wonderful about the tough guys showing their tender side, like The Fall suddenly coming up with 'That Man' when you least expect it, or Mark Stewart singing a love song as fiercely as any of his protests. If it can feel too obvious saying Gang Starr are the best, I guess it maybe somehow connected with that guilt thing of loving the most militant reggae, the most committed conscious roots acts, when you’re miles and lifetimes removed from what’s generated such raw sounds. And, yes, you can put Guru up there with Prince Far I, Yabby You, Big Youth, Trinity, Tapper Zukie, and so on. That link works, though it’s really the jazz that Guru connected to. Right from the start Gang Starr explicitly went further even than Stetsasonic in referencing the jazz in their music. Guru himself went further still with his extra curricular activities as Jazzmatazz, where he got together with a stellar cast of old school jazz figures (like Donald Byrd, Freddie Hubbard, Ramsay Lewis, Roy Ayers, Bernard Purdie) and important new voices (Shara Nelson, MC Solaar, Carleen Anderson, Bahamadia, DC Lee) for a wildly ambitious series, which against all the odds has aged pretty well. The first two Jazzmatazz sets were put together right at the heart of the Acid Jazz/Talkin’ Loud/Mo’Wax thing, where hip hop and jazz and reggae and rare funk grooves were thrown together by people like Gilles Peterson and Eddie Piller, the latter of whom had evolved through the mod resurgence, the reawakening of interest in the source sounds, and on into the jazz. The Jazzmatazz counterparts here were the likes of the Young Disciples, Galliano, A Man Called Adam (who Piller called the ultimate mod group) and on into RPM and Attica Blues at Mo’Wax, and yes it was a contagiously creative and productive time whatever anyone else may try to tell you. Gang Starr I guess never were going to get the success they merited, but they have left behind a great canon. From the promise of No More Mr Nice Guy through to my personal favourite Moments of Truth approaching the end of the ‘90s. Moments of Truth was released during another golden age for hip hop, following through from the Wu Tang and Mobb Deep, DJ Shadow and The Automator, getting that balance between the b-boy purists and the experimental headz, something for the backpackers and headnodders and the cratediggers, on into Dr Octagon, Company Flow, Mos Def and Talib Kweli, Latyrx and Blackalicious, Common and The Roots, and Moments of Truth seemed to draw on the new energy. 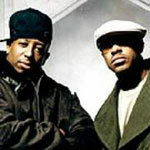 Interestingly The Roots from Philadelphia seemed to take the Gang Starr thing on a bit further, with conscious rhymes, imagination, integrity, old school roots and jazz connections. What was interesting about The Roots and their extended family was their organisational excellence, and in particular the divergence into production duties. The Roots’ fingerprints were all over many of the best sounds from the emerging streetsoul, or whatever you want to call it, where hip hop blended with what I am very wary of calling real soul, but essentially we are talking about a sort of music that connected directly to old soul sounds of the Roberta Flack, Stevie Wonder, and so on, vintage. And the likes of Erykah Badu, Jill Scott, Angie Stone, Jazzyfatnastees, Lina showcased some exceptional vocal performances, while some of the Roots’ acolytes like Scott Storch and James Poyser had their names on many of the credits that counted in years to come. 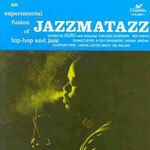 Guru himself tapped into the streetsoul thing with the third instalment of the Jazzmatazz series, making some very natural connections. There was always a danger of Guru becoming a caricature, skulking in a corner, declaiming how he could have been a contender but he never sold out, and spent his time keeping it real, whatever that means, and for that reason you could understand even old fans steering clear of the 2005 Street Scriptures set, like even the oldest Fall fan might avoid another Mark E Smith record. But that would be a big mistake. The Street Scriptures actually has some magical moments, like 'Cave In' which cheekily reprises the downtown sound of the Liquid Liquid 'Cavern' motif, linking it right back to Grandmaster Flash’s 'White Lines' all those years before.